Amazon’s $13.7 billion dollar purchase of Whole Foods earlier in August offers unprecedented vertical integration in one of the largest industries in the country - grocery shopping. Amazon's recent acquisition of Whole Foods surprised many and put grocery chains on alert. Why would the e-commerce giant spend $13.7 billion to acquire Whole Foods' 460 brick and mortar stores while slashing prices? The answer lies in Amazon's expansion into grocery retail, the largest category of consumer retail and the biggest untapped market for Amazon. Getting Whole Foods grocery store customers offers Amazon access to a larger retail market with persistent demand and access to a wealth of data to inform its expansion. It's clear Amazon believes that the future of grocery shopping lies online. By slashing Whole Food prices by as much as 43%, Amazon can offer healthier food options affordably to larger markets in areas typically dominated by grocery supermarket chains like Kroger, Walmart and more. Supermarket chains lost $12 billion in value after Amazon's announcement to slash Whole Food prices. The grocery stores had already taken a massive hit after Amazon's purchase of Whole Foods was made public. As Amazon acquires new Whole Food customers, the company also expands its core business based on free delivery services through Amazon Prime. Amazon Prime is a popular subscription option for just $10.99/month or $99 for the year and in use by 80 million Americans annually, according to 2017 data estimates by the Consumer Intelligence Research Partners (CIRP) firm. Amazon announced that Amazon Prime will become the customer rewards program for Whole Foods customers, thus giving special savings and in-store benefits to Prime members. Amazon hopes to convert Whole Food customers into Amazon Prime members. In essence, the company has found a way to vertically integrate consumption. How many companies do you know that offer you options to buy the latest book you want to read, watch movies for free (through your Amazon Prime subscription), send a gift to a family member, order groceries and buy clothing, home appliances and technology products all on the same site? Your purchase habits and even browsing history are not going unnoticed. Amazon already uses that information to help provide you with better recommendations for products you may want to have right away or later. Amazon is arguably the world’s greatest organizer of consumer data - both purchasing and intent - already. Adding fresh groceries and the power of a well established brand such as Whole Foods, offers a whole new level for the technology giant to compete at and a segway into the $800 billion dollar annual food and beverage marketplace. Amazon is already masterful in providing useful recommendations. These recommendations can now extend to your grocery shopping, including replenishing supplies when low or finding and ordering groceries for recipes on the go or using Alexa. Since Amazon already remembers your purchasing history so well, you can benefit from discounts, coupons and other privileges that you do not have to the same degree with your local grocery store. This incentive in turn, encourages you to shop more with Amazon online, enjoying both convenience and better pricing. For Amazon, this leads to more customers, greater customer retention and a longer, more rewarding customer lifecycle. Purchasing Whole Foods helps Amazon gain even more data, specific to grocery shopping. Amazon's mastery of how to leverage data is already apparent in its booming e-commerce business. Access to Whole Foods' customer data will help Amazon better understand the needs of customers, predict new behavior and create a long-lasting, loyal customer base. Whole Food data helps Amazon understand the grocery buying habits, patterns and preferences of customers. This insight adds to Amazon's ability to see the connections between different product purchases across categories. All of this data in turn, provides more insight into the needs and wants of customers. Grocery shopping is something most people do every week. Unlike e-commerce products such as technology or apparel, grocery shopping is essential, frequent and also habitual. This kind of insight into consumers is very valuable as it enables Amazon to tailor individual grocery shopping experiences. Amazon can also upsell other products like it is already doing at Whole Food stores by offering Amazon Echo products right next to fresh produce. While selling technology products next to grocery store items may not be easy at a local grocery store, this combination and others may grow in popularity now through Amazon. Existing Whole Foods customers also are considerably more affluent than shoppers at other grocery stores, with $1000/month available in discretionary income on average, according to Business Insider. Upselling new products is a natural next step, as well as offering convenient delivery services same day through Prime Now or in the next two to three days via Amazon Prime. 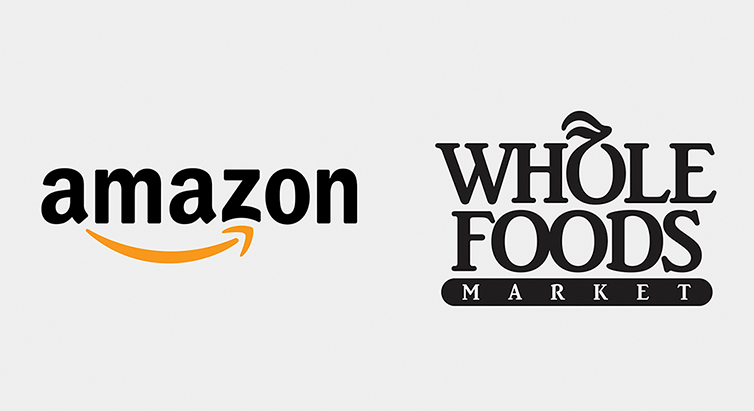 From a customer's point of view, Amazon's purchase of Whole Foods offers convenience. For example, if a customer just finished a favorite snack or grocery staple, Amazon will then remind the person to buy more right when he or she needs it. With just a click of a button, you can have it delivered to your doorstep - no driving, no fuss. How will Amazon's purchase of Whole Foods and expansion across the country, change existing grocery store chains? While the full extent of Amazon's entry into the retail grocery store marketplace remains to be seen, some changes can be predicted. Existing stores and big grocery chain giants such as Kroger, Costco and Walmart will have to compete with Amazon's known brand quality assurance and speed as well as ability to offer lower prices. Amazon is known for its swift, easy and personalized shopping experience. With just a click of a few buttons, you have ordered what you wanted, discovered a few things along the way and got the best prices and quickest delivery. Grocery stores may slash prices in certain categories and items to keep pace with their new rival. They may also go out of business if they cannot adapt quickly enough or are unable to recognize the areas that they can excel in and dominate. In other industry sectors, Amazon already owns several brands of its own, particularly in apparel such as Lark & Ro, Ella Moon and Ma and others and even its own movies such as Manchester by the Sea. Companies like Kohl were forced to adapt quickly by creating their own private labels - basically their own differentiated product - so that they could survive and thrive. After numerous mishaps, Kohl's private brand now accounts for 50 percent of all of its sales. Grocery stores may also have to adapt in a similar fashion by providing more groceries with their own brands that their customers love. 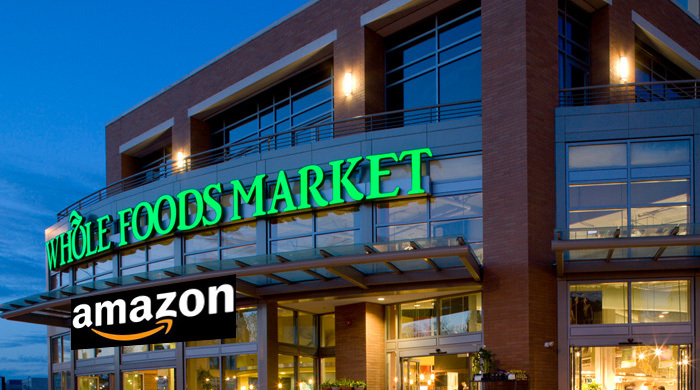 In the immediate interim, customers can still continue to shop right at the 460 Whole Food stores available in 42 states that now fall within the Amazon family. In some respects, this will help customers who may be reticent about buying groceries online to keep purchasing at their favorites stores - just at more affordable pricing and with better discounts and access to other products via Amazon. Food delivery via Amazon is already a popular service, whether done online or via the mobile app. With the ability to order groceries now and also have same or next day delivery, Amazon is now a top competitor for providing groceries - something you need every week. The company still offers its personalized, speedy and secure checkout process online, which in many ways, is better than a direct purchase within a store. A customer can also stay on budget, buy just from a pre-planned shopping list and place orders quickly without waiting in long lines or trying to find a parking spot in a crowded grocery store parking lot after work. One of the biggest arguments for a person to continue to shop at any given grocery store is the cost of food. Buying locally often saved the customer money as there was no shipping cost involved. There may be a cost for traveling to and from the store. Purchasing healthier food typically involves higher costs. Healthier food is often more expensive than versions filling most grocery aisles today that are loaded with saturated fats, GMO, high fructose corn syrup and synthetic ingredients that are hard to pronounce. Even as public education about nutrition and food quality has improved, cost has remained a significant barrier to buying healthy food. Amazon did not delay in taking action to address this. Within just three days of the FTC approving Amazon's purchase of Whole Foods and its first day as new owner, Amazon slashed prices by as much as 43 percent! While some products remained the same, there were significant changes to prices on popular and quickly consumed foods such as bananas, eggs, avocados, chicken, beef, salmon and more. Pricing was formerly a barrier to entry for new customers at Whole Foods and Amazon's lowered pricing has had an immediate positive effect for consumers while disrupting the food retail industry. Amazon's bold move offers a way for consumers to have access to healthier foods more affordably. It also forces food retailers to adapt quickly and come up with more effective pricing strategies. Without a doubt, Amazon's foray into the grocery store marketplace will have a tremendous impact upon the industry. But its reach extends beyond just brick and mortar grocery stores to their environments. Many grocery stores are in suburbs or in strip malls. As customers buy more groceries online, they will be less likely to spend their time in strip malls. There will be fewer physical grocery stores, just like the disappearance of bookstores over time after Amazon changed the way people discover and buy books. Maybe former strip malls and grocery stores will be converted into distribution centers or fulfillment centers. Recently, Amazon filed a patent application for drone towers in city centers. These drone towers will have their own warehouses and loading docks. Finally, in addition to its effect on grocery chains, Amazon's purchase of Whole Foods will also require that the company build better distribution networks across the country. As Amazon builds this and supplies customers with fresh groceries, recommended items and other products on their wish lists, food retailers across the country will also have to adapt in providing speedy delivery and high quality products at lower prices. In conclusion, Amazon has raised the bar in terms of convenience and affordability and in anticipating consumer needs and desires with its vertically integrated, swift shopping experience personalized to each customer. At the very least, customer grocery store shopping experiences will improve. We can expect savvier shoppers and hopefully, healthier ones too. How will the American retail landscape look in the years to come? While the answer remains to be seen, we would love to see some of these strip mall areas and former grocery stores turned into parks and community green spaces.